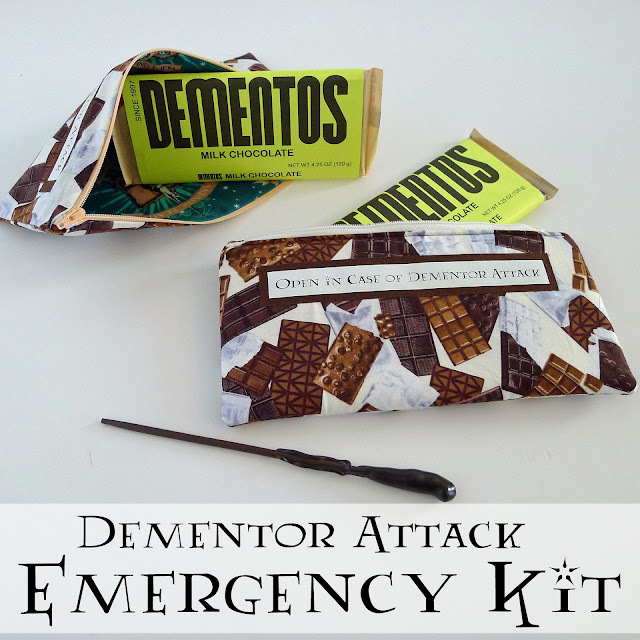 We all have days when we can feel the dementors lurking...And for those days having a Dementor Attack Emergency Pouch at the ready is just what Madam Pomfrey ordered. (I'm sharing this as part of Happy Harry Potter at Raegun Ramblings. 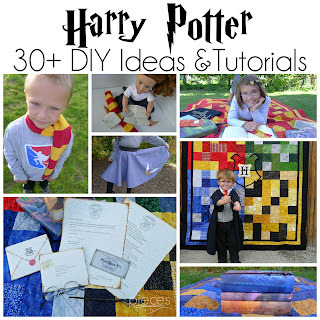 Click over to Raegun Ramblings for more Harry Potter inspired projects and read to the end of the post to enter to win some awesome prizes.) This post contains affiliate links to help support my blog. I used product given by Fairfield World in this post. all opinions, ideas, and enthusiasm are my own. 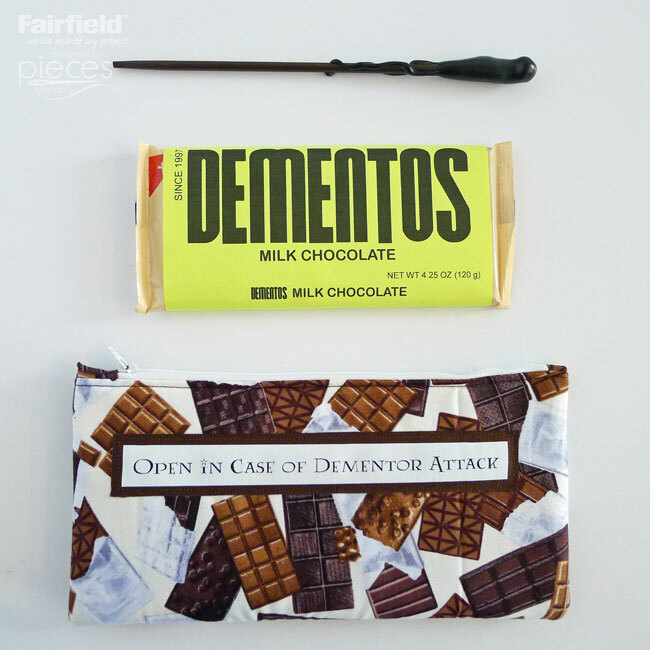 These also make great gifts for any friends or loved ones who may struggle with dementors as well. 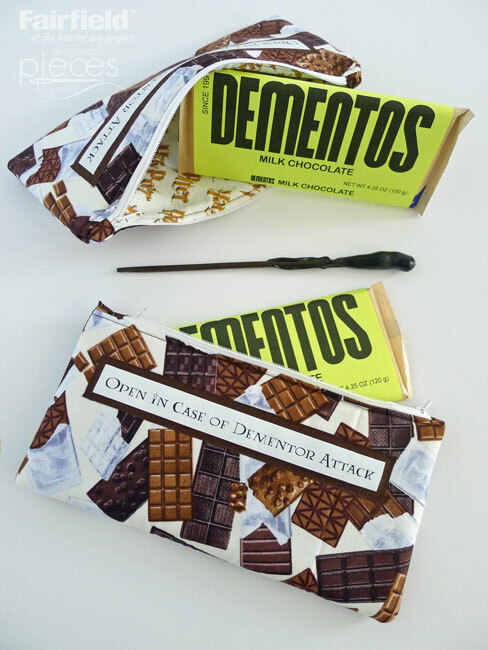 Free Printable Dementor Themed Chocolate Bar Wrappers can be found on my blog here. 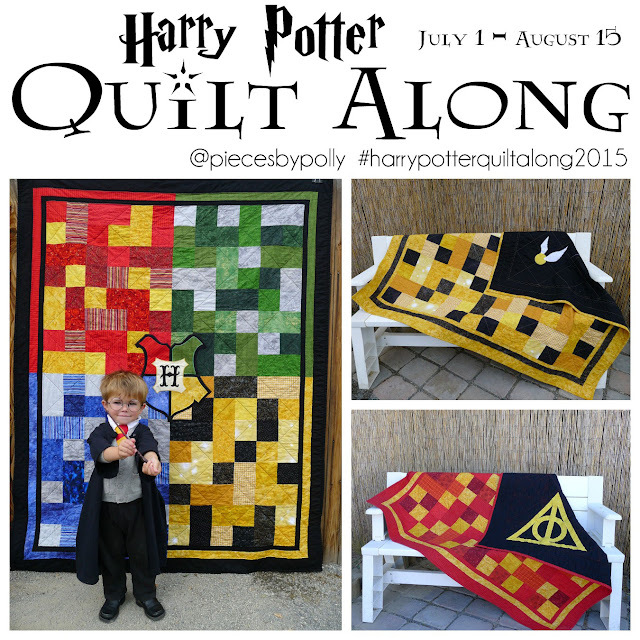 1/6 yard of lining fabric (10 points for Gryffindor if you can find Harry Potter themed fabrics. At last check Camelot fabrics has quite a few out. Contrasting Scraps for zipper ends. Small bit of paper backed iron-on fusible web. 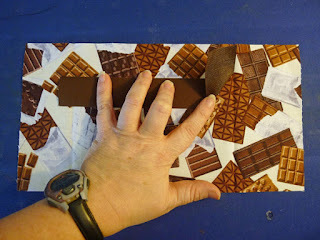 From EACH of your fabrics and your foam stabilizer, you'll want to start by cutting TWO rectangles that measure 6" x 11 1/2". 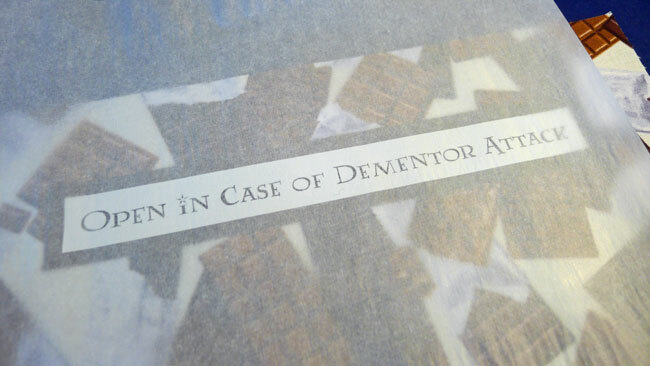 Print OPEN IN CASE OF DEMENTOR ATTACK onto the front side of your DARK fabric iron-on transfer paper. You'll want to be sure you're using and INKJET printer. 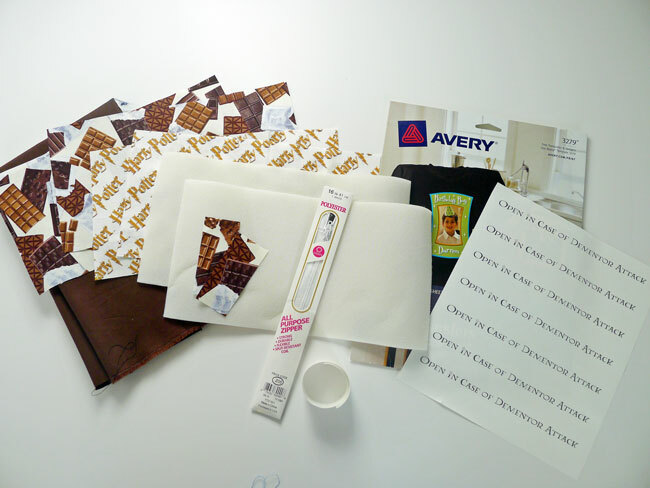 I definitely recommend testing your printer on regular paper first. Cut and trim one OPEN IN CASE OF DEMENTOR ATTACK strip from your iron-on sheet. Trim a piece of paper-backed iron-on fusible web to be just approximately 1/2 larger in each direction than your trimmed OPEN IN CASE... strip. 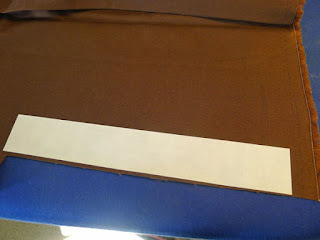 Iron onto brown fabric. 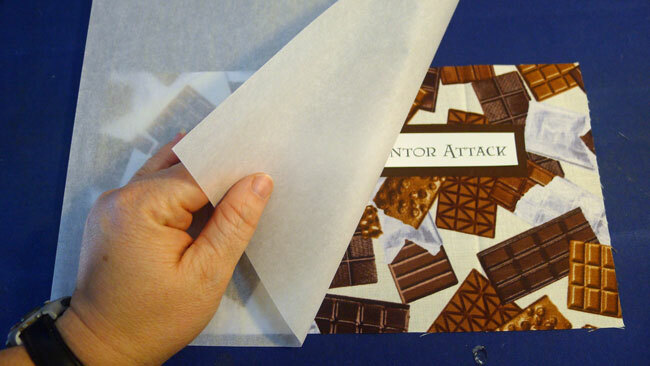 Remove paper backing and position onto outer pouch fabric. Position OPEN IN CASE... strip centered on your brown fabric. Cover with the special ironing paper that comes with the ink-jet iron-on. Follow package directions to iron on. Check that all edges are adhered and let cool before removing paper. 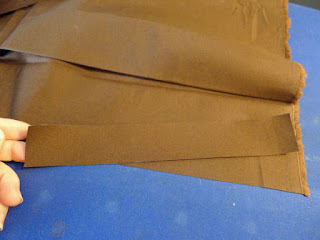 Use basting spray (optional) to hold outer fabric to support foam. Stitch around the edge with 1/4 inch allowance to hold in place. And be sure to add a nice big chocolate bar, so your pouch is ready for emergencies. 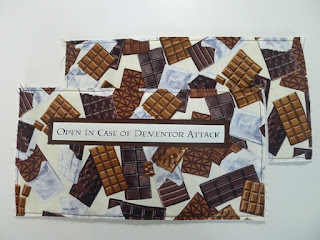 You can find my printable dementor themed chocolate wrapper here. So cute! 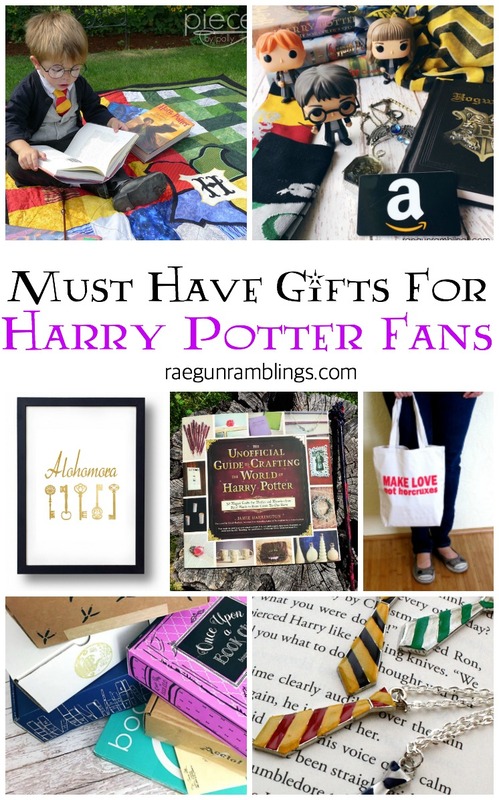 Love this gift idea!